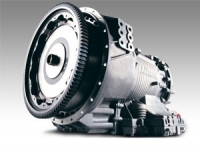 Allison Transmissions offer a range of new fuel-saving innovations designed especially for truck applications. 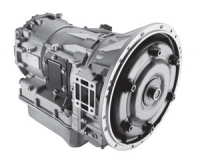 Transmission features include a high efficiency torque converter, a twin countershaft design and advanced controls to provide Continuous Power Technology™. Allison fully automatic transmissions provide increased fuel economy coupled with the reliability, durability and productivity that comes with the Allison brand. Allison Automatic provides the optimum balance of fuel economy and performance. Allison automatic transmissions dynamically select the perfect shift points based on load and terrain to automatically maximise fuel economy or boost power when needed. In economy mode, the transmission shifts at lower engine speeds to provide fuel savings and upshifts at higher speeds for greater acceleration when required by the vehicle load and road conditions. Choosing the Allison Automatic that best fits your expected duty cycle means you may be able to downsize your engine to further reduce costs, emissions and fuel consumption. Allison’s Continuous Power Technology™ delivers smooth, uninterrupted engine power to the wheels without driver input, allowing for more driver focus on task of maneuvering. There is no lag or jerking during gearshifts and smooth acceleration makes vehicle operation easy and stress free. The reduction of g-forces reduces overall fatigue whilst also keeping loads better protected. Inching is simple with Allison Automatic which also eliminate roll backs. Allison has worked for decades to build some of the most reliable transmissions in the world. They’re built to last and are known for performing reliably. 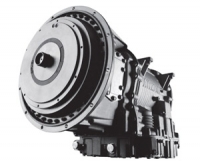 Allison makes transmission deliver overall lower lifecycle costs. 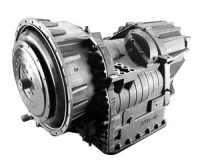 Since Allison Automatics do not require a starting clutch, there is no servicing or repair requirements to worry about – this is usually a major cost source with both manual and automated manual transmissions. Allison Automatic's integral retarder also reduces brake wear further reducing downtime, parts and service costs. In fact the only regular maintenance required with an Allison Automatic is standard fluid and filter changes. Allison’s Prognostics feature provide simple and accurate monitor of oil and filter as well as overall transmission health reducing unnecessary servicing . This saves time and money without risking damage to the transmission.